On Tuesday the 19th of March, the Higher Administrative Court in Münster ruled in favour of 3 Yemeni claimants on many key points, as they argued that the US’ use of Ramstein air base for drone strikes violated German and international law. The case was brought by three members of the bin Ali Jaber family, who lost two relatives in a US drone strike in Yemen in 2012, and which, like all drone strikes in the region, was facilitated by US operations on German territory. The ruling on the case, brought forward by three members of the bin Ali Jaber family with the help of EFAD members ECCHR and Reprieve and discussed earlier here, is a major step towards upholding principles of international law in the face of illegal targeted killings. The German government has to make its own inquiries, and review the legality of US drone strikes in Yemen. If necessary the government must take action to ensure that the strikes comply with international law. In weighing the lawfulness of US’ activities on German territory, the German government now also has to consider non-official reporting (i.e. 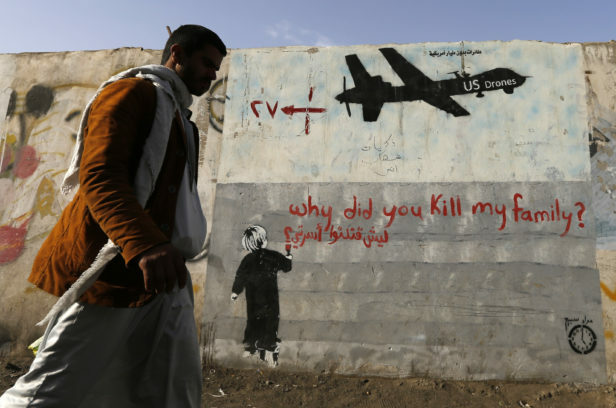 by investigative journalists, NGOs) on drone strikes possibly violating international law. The ruling marks an important acknowledgement of the crucial role Ramstein air base plays in the global drone war, and gives important credence to non-official reporting on drone strikes, which civil society organisations have been working on for years now. It also sets an important precedent for other European countries that facilitate the US drone program to take action and demand compliance with international law. Visit ECCHR and Reprieve to read more on the case of Faisal bin Ali Jaber, as well as other drone strike victims. Read Amnesty International’s ‘Deadly Assistance’ report on the complicity of Germany and and other European countries in the US drone programme. For drone developments and positions of other European countries, visit our country-overview page.